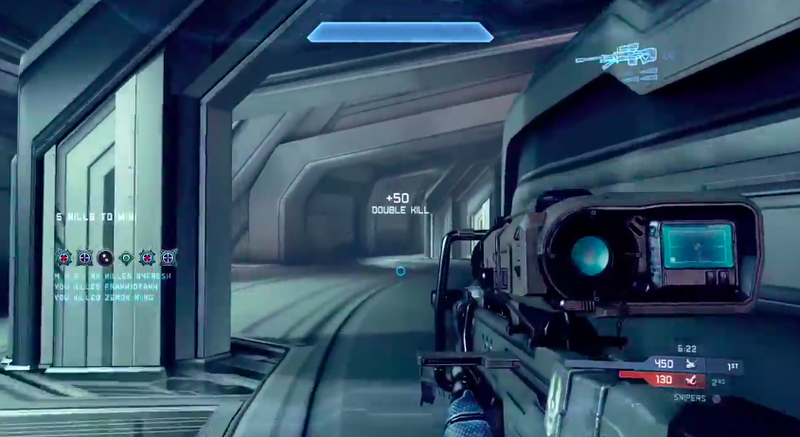 Okay, what's with all the unbelievable Halo snipes lately? Last week, we highlighted an absurd Halo snipe that ricochets off three different surfaces before connecting with the head of its victim. Today, we bring you a snipe by Jimmy Boswell that puts that last one to shame. Somehow, Boswell lands a shot that ricochets off at least 6 different surfaces before headshotting the enemy, who is across the map. It's incredible. The best part is, it's a part of a double kill, too.